The United Nations has said it is deeply concerned about the plight of people who flee Mosul as fighting intensifies amid the Iraqi offensive. 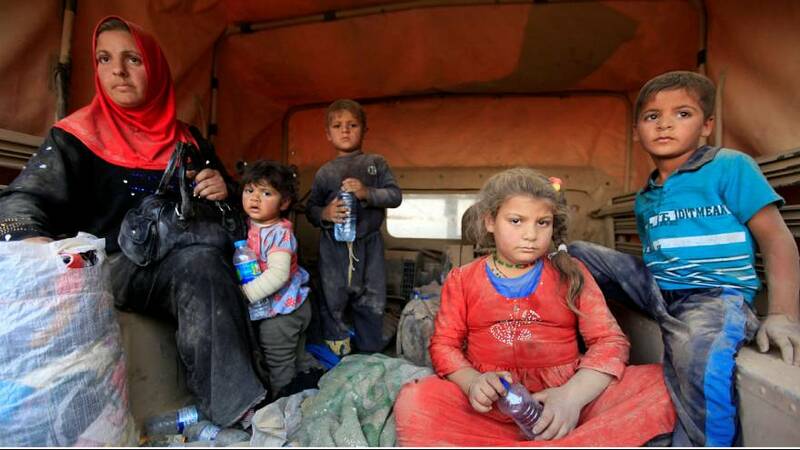 Several days into the assault, families who had left were met by Iraqi soldiers about 15 kilometres from the city. Some were met by ambulances amid the dust, as in the background oil fields reportedly set on fire by ISIL militants continued to burn. The International Committee of the Red Cross says the use of chemical weapons is a major concern and is preparing for possible attacks, as it calls on all sides to respect and protect civilians. “Our main concern today is for the civilian population. The military operation has started in Mosul, and I’m quite sure that the civilians, the children, the people, they are really worried and they might try to flee and be caught in fighting, in crossfire,” said the head of the ICRC’s delegation in Iraq, Katharina Ritz. Civilians have been arriving at a camp run by the UN’s refugee agency. The Debaga camp south of the Kurdish capital Erbil can shelter 45,000 people and is already two-thirds full. It is one of five sites opened by the UNHCR in Iraq. The most recent arrivals have come from the Howeija and Shurkat regions, south of Mosul. It’s thought the battle to retake the city could leave up to a million people homeless.